We sent out a request for feedback on Wiggly Products and Services a couple of months ago, and here's whats going on in Mary Booth's garden. "My mealworms arrive every week (except a couple of times when the post has gone haywire!!) I have a robin thats feeds from my hand!! 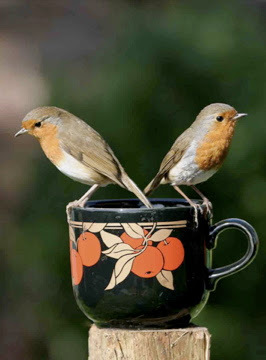 At the moment he/she has a friend and so I hope they are nesting. The other birds love mealworms too. I also have one of your Turtle Bags - wonderful idea." Well this week they came back headed up by Adam Henson. 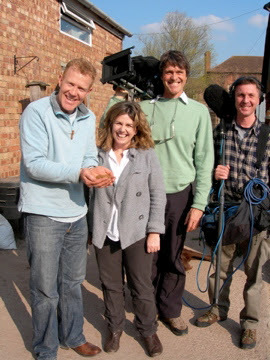 He has made some of my favourite reports on Countryfile, and he is a real time farmer as well as presenter. Rural women The stereotypical homely image of a farmer's wife in the kitchen making jam and pies is more and more out of date. A recently published report from Global Entrepreneurship Monitor says that the number of female entrepreneurs outstrips the number of male ones in the rural wards they studied. It also shows that female entrepreneurial activity is nearly twice as high for rural women as it is for urban women. Three inspirational women have set up three very different businesses, and are following their rural dream. Many thanks to Rebecca Harding who wrote the report and Izzy Warren Smith from Wire for thinking of us. Well this Can-O-Worms isn't so hot. 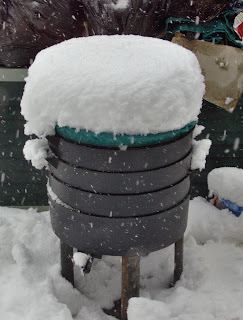 This is Jo from Wiggly Wigglers Can-O-Worms in her garden in the snow last month. First of all a dream headline in this weeks Daily Mail for all at Wiggly Wigglers. Sarah Sands says "I love my can of (pet) worms!" Then our worms make it to "Its not easy being Green" and then to top it all we had to send three Can-O-Worms to London for The Richard and Judy Show. Rach nearly had kittens though, because the courier broke down (!) and the kits had to be there by 4pm. Anyway with a bit of van swopping and driver grief they made it just in time! Green baths used to mean Avocado coloured! Richard, San and I spent a day at CAT - Centre of Alternative Technology on Friday. CAT are a good customer of Wiggly Wigglers and are featuring our book and Can-O-Worms in their Spring flyer, as well as in their shop and catalogue so its good to keep in touch. But the main emphasis of our visit was to get green building inspiration, as we plan our latest venture - a space where you can visit and buy directly from us - a sort of Wiggly Wild Garden Shop... with an opportunity to indulge in Earl Grey and cake of course. We've yet to get planning permission but nevertheless there's excitment in the air and much talk of composting facilities, green roofs, and reed beds. One of the displays up at CAT was a bath which told you how much more water a bath used than a shower. (It was lots). As part of my personal effort to become better at caring for the environment I was a bit shocked by this display. One of my great pleasures in life is a long, hot bath, and apart from the fact that we dont have a shower, giving up my bath would be a sad day indeed in the Gorringe household. Then theres the knock on effects never mentioned: the decline in sales of lavender bath oil, which would effect the lavender fields which would reduce the number of bees! No bees - no honey, well in fact as 2 out of every 3 mouthfuls of food that we eat are indirectly provided by bees perhaps at least it would do the diet some good! Thankfully there is an alternative; my son and myself will re-use each others bath water and we'll re-use it again on the garden with a drought buster which I like so much we will be stocking from April 1st - no joke. We already have a green bath - it's 70's avocado coloured. From now on we'll have to bath green! Now I am sorry but now we truely have been inundated with orders for English Bouquets. And so I have to thank you all very much for your orders, but please now stop! Just for this week! We shall resume normal bouquet service on Monday 19th - no problem, but until then we just cant manage anymore flowers - we are flowered out! 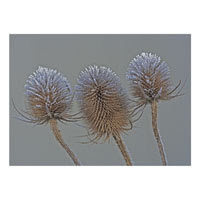 If you still need the perfect gift for your mum for Mother's Day what about a Mark Eccleston print or some Wildflower Plants?